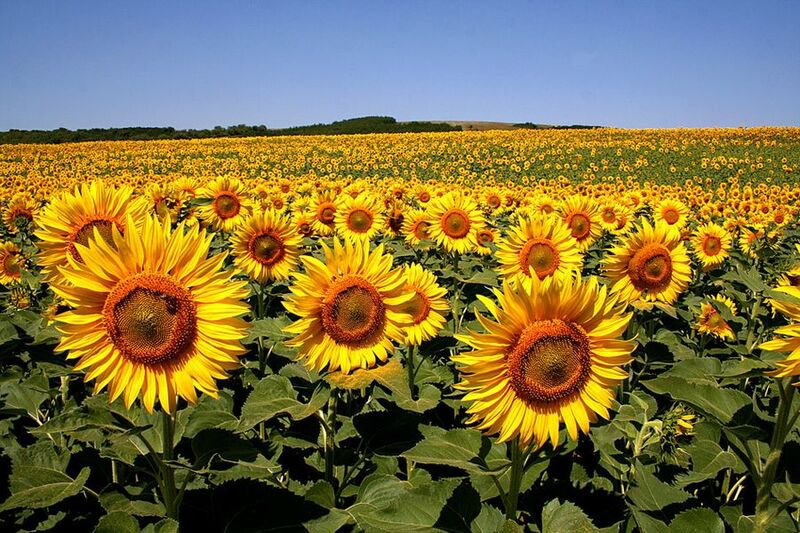 Share the post "Magnificent Sunflower Fields And Interesting Facts About Sunflowers"
The scientific name of sunflowers is Helianthus, from Greek Helia for sun and Anthus for flower. Helianthus or sunflowers is a genus of plants comprising about 70 species in the family Asteraceae, all of which are native to North America except three species in South America. The common name, “sunflower,” also applies to the popular annual species Helianthus annuus, the common sunflower. This and other species, notably Jerusalem artichoke (H. tuberosus), also called sunroot, sunchoke, earth apple or topinambour, are cultivated in temperate regions as food crops and ornamental plants. Sunflowers are one of the fastest growing plants. They can grow 8 to 12 feet (2.4 m – 3.7 m) tall in rich soil within six months. As of 2012, the Guinness World Record for the tallest sunflower is 27 ft (8.23 m) for a sunflower grown in Germany. The sunflower is a large inflorescence, this means the flower head is actually made of many tiny flowers called florets. Central florets look like the center of a normal flower while the outer florets look like yellow petals and together they make up a “false flower”. This natural design helps insects and birds to easily see the sunflower and after pollination every little flower or floret produces a seed. One sunflower can have up to 2000 seeds. 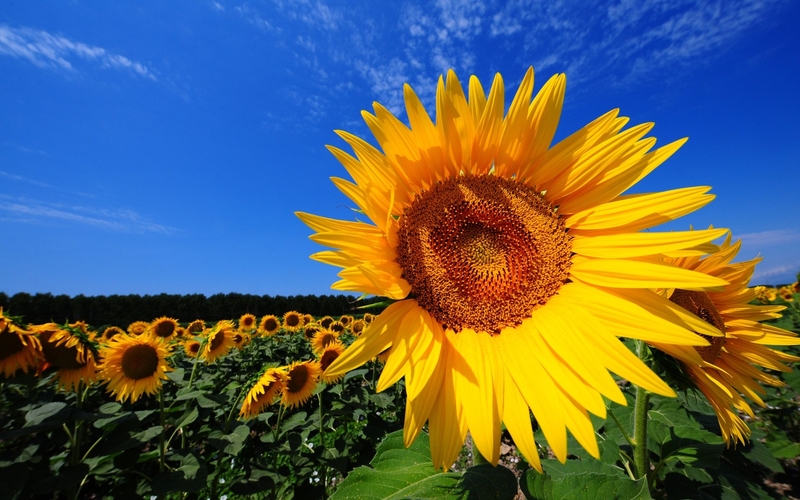 The stem of a sunflower can grow up to 3 m (10 ft) tall and the flower head can be 30 cm (11.8 in) wide. Wild sunflower is highly branched with small heads and small seeds, in contrast to the single-stem and large seed head of domesticated sunflower. The flowers within a sunflower head are clustered in a spiral pattern whereby each floret is oriented towards the next by the golden angle of 137.5°. This produces a pattern of interconnecting spirals. The number of left and right spirals are consecutive Fibonacci numbers. Normally there are 34 spirals in one direction and 55 in the other. Very large sunflowers can have 89 in one direction and 144 in the other. There are two kinds of sunflower seeds. Sunflower oil which is used in cooking and in margarines is made from black seeds and snack food is made from the striped seeds. The seeds can also be used as bird feed. Sunflowers can also be processed into a peanut butter substitute called Sunbutter. In Germany, sunflower seeds are mixed with rye flour to make a type of bread (Sonnenblumenkernbrot). Sunflower seeds have lots of calcium and 11 other important minerals. They do have 50% fat, but it is mostly polyunsaturated linoleic acid. The sunflower is native to the America’s and was used extensively by Native American Indians for food, as oil, in bread, medical ointments, dyes and body paints. Although it was commonly accepted that the sunflower was first domesticated in what is now the southeastern US, roughly 5000 years ago, there is evidence that it was first domesticated in Mexico around 2600 BC. 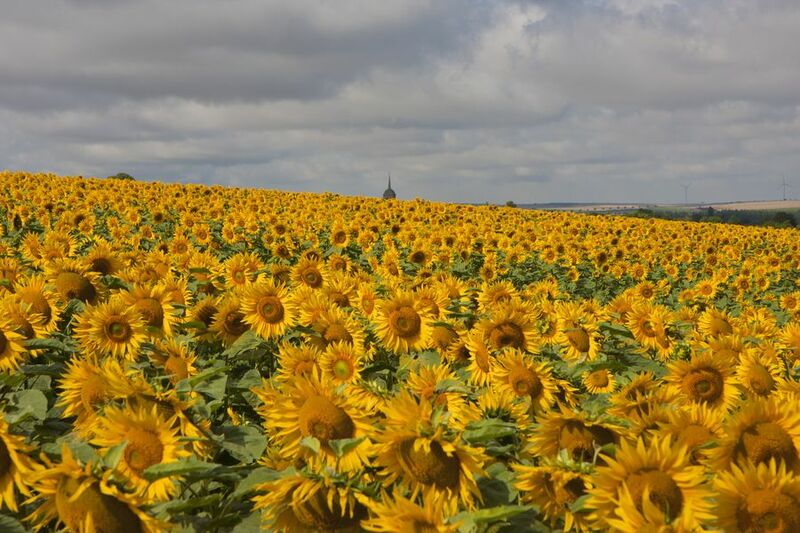 The Spanish explorers brought sunflowers to Europe, and after being first grown in Spain, they were subsequently introduced to other neighboring countries. Currently, sunflower oil is one of the most popular oils in the world. 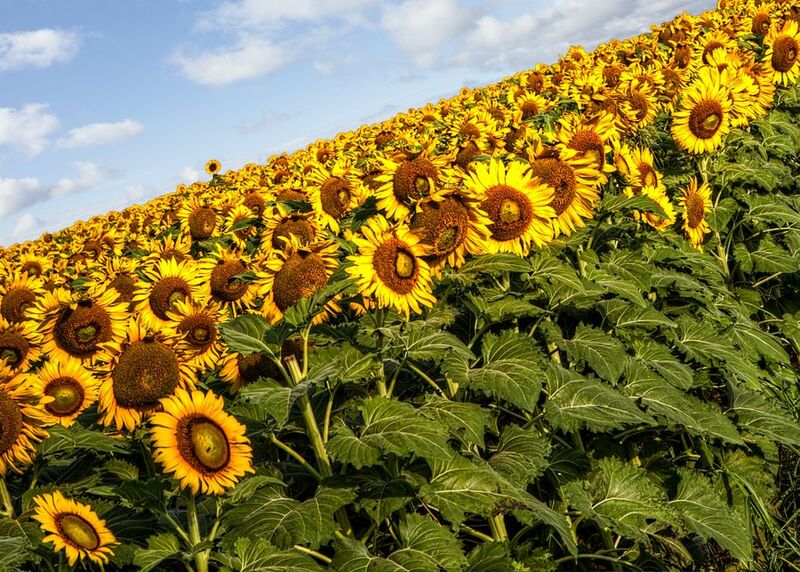 Today, the leading commercial producers of sunflower seeds include Russia, Ukraine, Peru, Argentina, Spain, France and China. 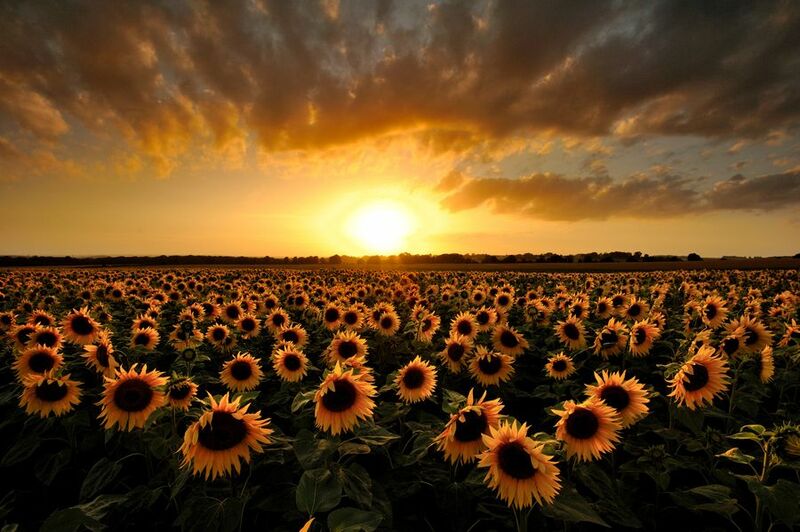 The sunflower is the state flower of the US state of Kansas, and one of the city flowers of Kitakyūshū, Japan. It is also the national flower of Ukraine. 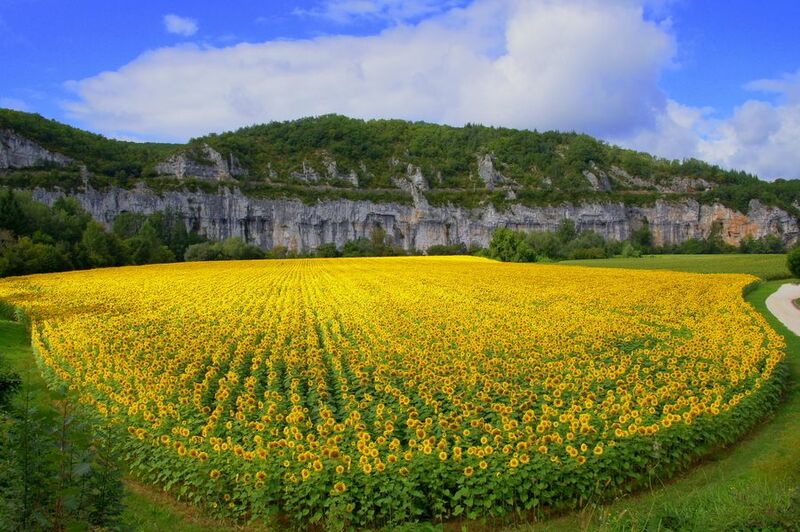 Sunflowers were also worshipped by the Incas because they viewed it as a symbol for the Sun. 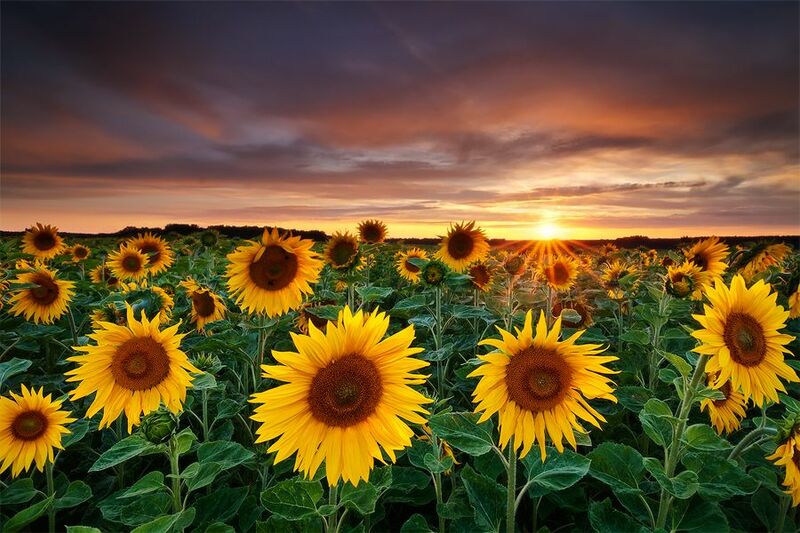 A common misconception is that flowering sunflower heads track the Sun across the sky. Although immature flower buds exhibit this behaviour, the mature flowering heads point in a fixed (and typically easterly) direction throughout the day. Their heliotropic motion is a circadian rhythm, synchronized by the sun, which continues if the sun disappears on cloudy days. If a sunflower plant in the bud stage is rotated 180°, the bud will be turning away from the sun for a few days, as resynchronization by the sun takes time. The heliotropic motion of the bud is performed by the pulvinus, a flexible segment just below the bud, due to reversible changes in turgor pressure, which occurs without growth. Sunflowers can be used to extract toxin such as lead, arsenic and uranium from contaminated soil. 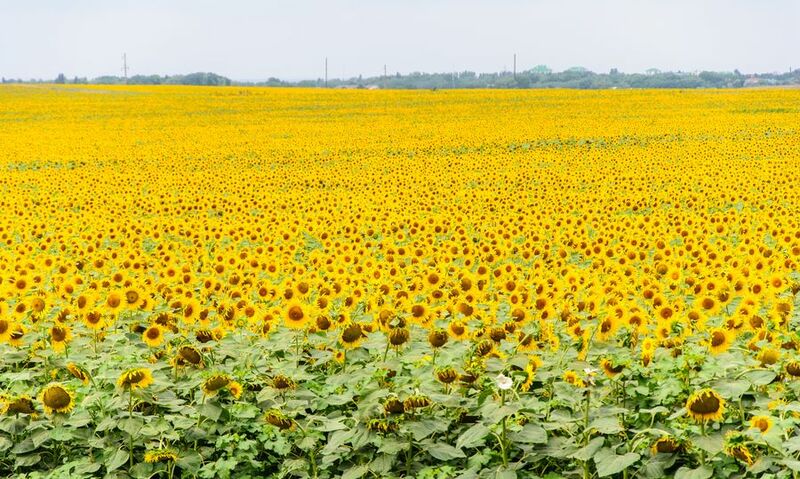 For example, sunflowers were used to remove toxins from a pond after the Chernobyl disaster and similar projects took place after the Fukushima nuclear disaster. Famous Dutch painter Vincent Van Gogh did a series of paintings featuring and called Sunflowers.